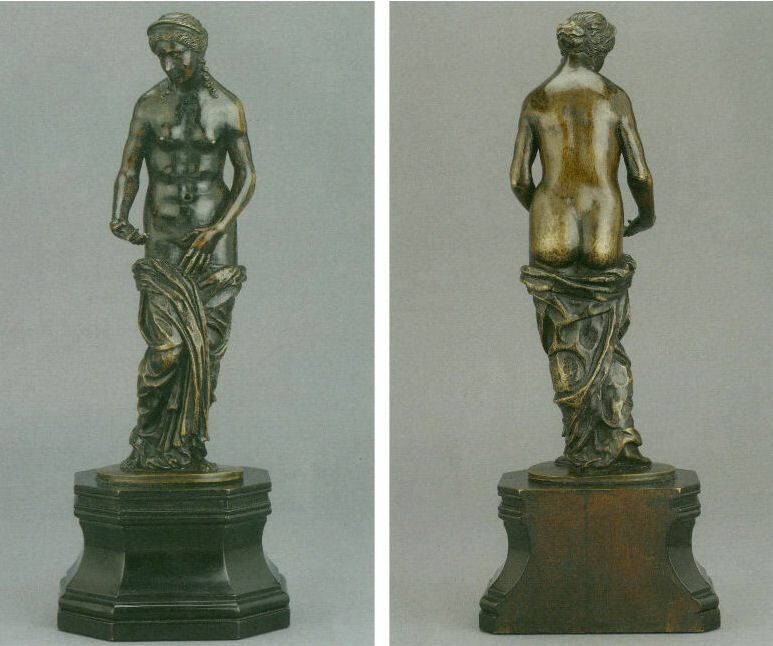 Above and below: The ‘Fortnum Venus’, attributed to Francesco Francia or his circle. c. 1500-05. 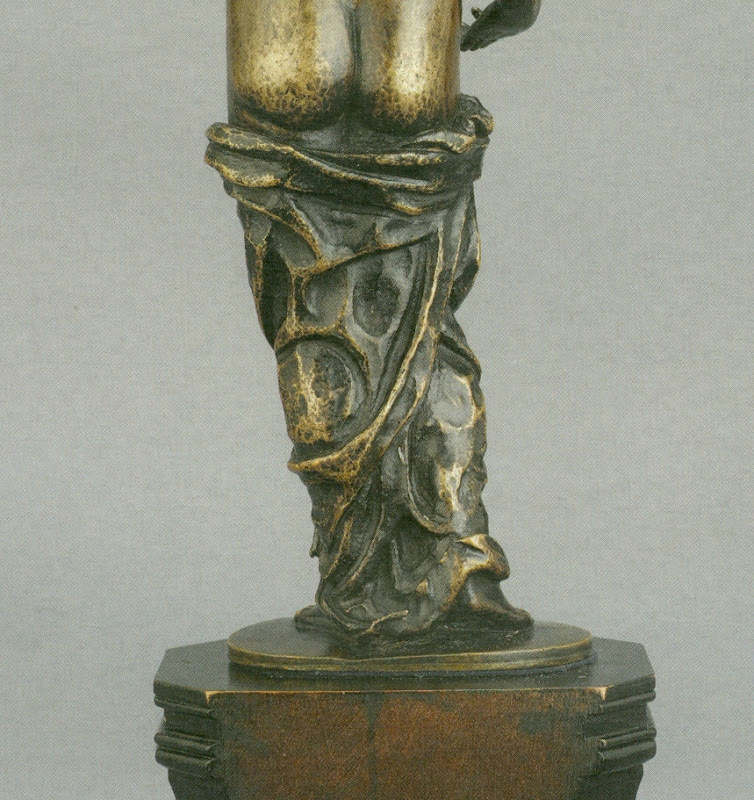 Bronze, 26.1 cm. high. (Ashmolean Museum, Oxford). Above, detail of St Jerome, by Cosimo Tura. c.1470. 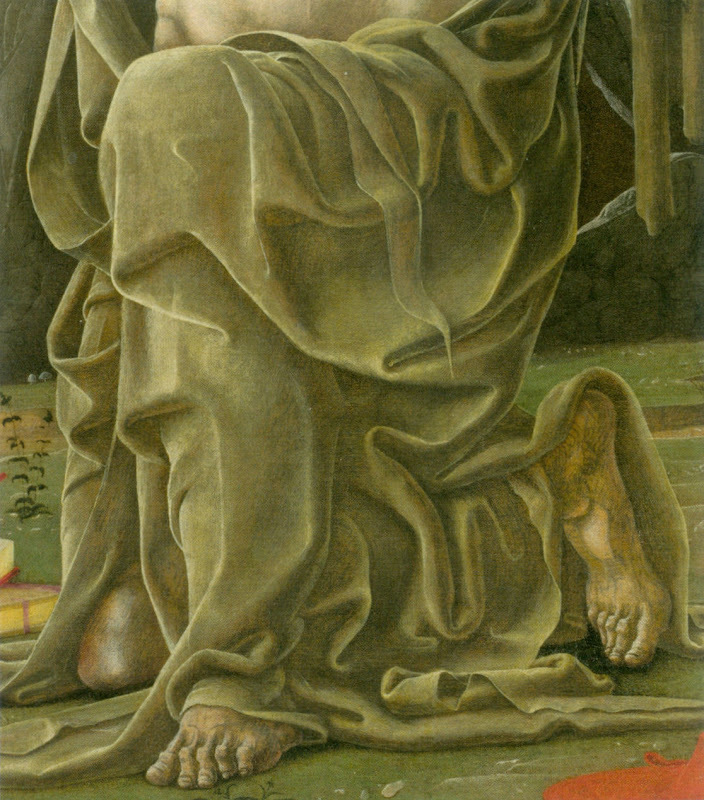 Panel, 101 by 57.2 cm. (National Gallery, London). “It’s a new dawn, it’s a new day… what new art exhibitions will make you feel good? Read our list of the top five shows opening this season to get inspired. “Discover the enduring impact of Botticelli and Delacroix on the art world and prepare to be star struck at exhibitions celebrating 100 years of British Vogue and the incredible beauty of our Solar System. ~ THE ART FUND, a mailing, 8 December 2016. NICHOLAS SEROTA, the director (- since 1988) of the Tate, at the Leeum Samsung Museum of Art in Seoul. Illustration: Jean-Auguste-Dominique Ingres, The Composer Luigi Cherubini with the Muse of Lyric Poetry, 1842, detail. Rudolf M. Heilbrunn, 1969, New York. “…Anyway, getting back to the book that was sent to me, its title was rather grand and pompous: La bella Principessa – the beautiful princess. Or, as I knew her, ‘Bossy Sally from the Co-op’. I’m a bit unsure of how to talk of this because the book was written by an eminent Oxford professor and must have been quite an effort. I don’t want to ruffle any feathers or cause problems but I nearly swallowed my tongue on reading its supposed value – £150 million! It would be crazy for a public body to pay such a sum. So I feel the need to say something about it. “I drew this picture in 1978…It was done on vellum, quite a large piece to find unfolded and without crease lines. I did it on vellum because at that time I couldn’t make old paper yet…The first thing I had to do was sand off the writing with 600-grit wet and dry paper. That done, it looked too new for anything old to look right on it, so I turned it over and did the drawing on the other side. That is why the drawing is done on the hair side of the vellum instead of the much-preferred ‘flesh side’. The texture of the sanding should still seen on its reverse. “As I said, the face is of 1970s vintage, and I think that shows in the drawing…The drawings of Leonardo and Holbein especially have always impressed me with their fineness of line and detail, and in my view they must have been done under some magnification…The vellum is mounted on an oak board…before drawing on it, the vellum was stuck to the backboard with cabinet maker’s pearl glue, so it needed to be under a weighted press for a while to allow the glue to go off without ‘cockling’ the vellum. ‘Cockling’ is the effect you see on paper when you try to paint a watercolour without soaking and stretching the paper first. On vellum the dampness looks like blisters or a cockle bed on the shore. It’s caused by the water content of the glue, so the thing needs to be under a heavy press to dry it flat. “It was done in just three colours – black white and red – all earth pigments based in gum arabic, with the carbon black mostly gone over with oak gall ink. 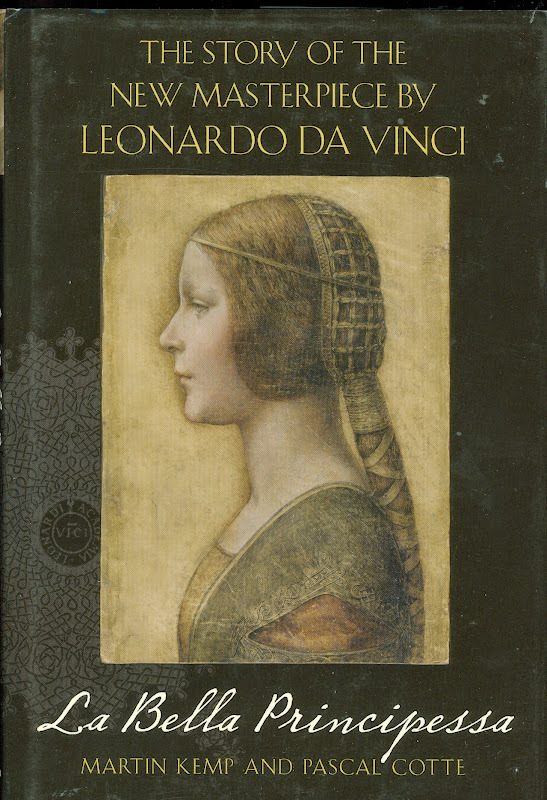 To be a bit Leonardo-like or even Holbein-like – they were both left-handers – I put in a left-hander’s slant to it…The Leonardo book [“La Bella Principessa ~ The Story of the New Masterpiece by Leonardo da Vinci”, By Martin Kemp and Pascal Cotte, with contributions by Claudio Strinati, Nicholas Turner and Peter Paul Biro] seems to put great store by the apparent leftyness of the drawing, but it can be shown up very easily. With the face on the vellum facing left, just turn the drawing clockwise to face her skyward, and hatch strokes from profile outwards in the normal manner…Incidentally, the book points out a palm print on the neck area, just the spot a right-hander doing an impersonation of a left-hander might rest their hand whilst doing the background hatching. The book mentions several holes on one margin as evidence that it has been bound into a volume, and also mentions some later ‘restoration’. I did not do these things, and don’t know who did, or where it went on its later travels. Looking closely at the picture in the book, it looks to have had the left margin peeled back an inch or so and has been restuck, not very well, especially at the bottom left. Could this be from when the left margin was pierced and roughly re-cut by someone else? 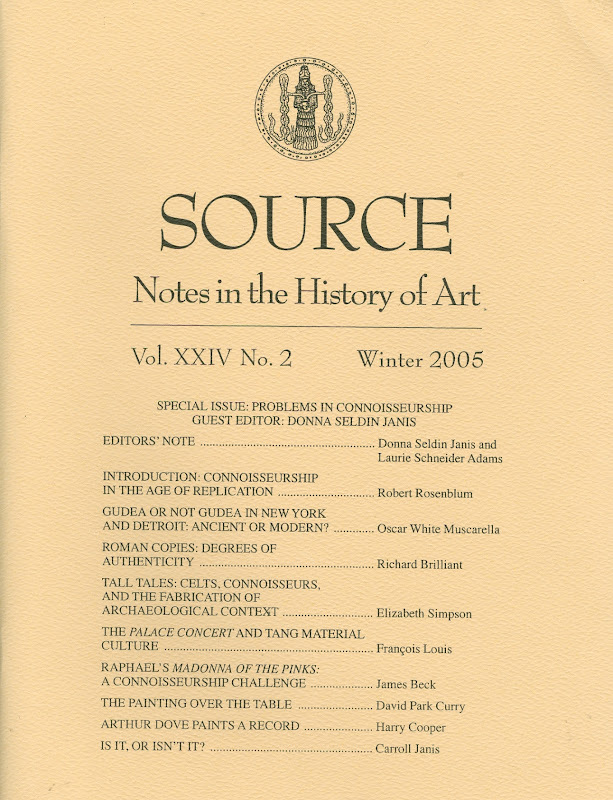 In the past it was customary for scholars to advance claims of attribution for particular works of art in scholarly journals and then wait to see how peers and colleagues responded to their evidence and arguments. Increasingly, we are seeing co-ordinated promotional campaigns of advocacy by players and owners who eschew venues of debate and sometimes denigrate sceptics and opponents. We invited two of the leading advocates of “La Bella Principessa’s” Leonardo’s authorship – Martin Kemp and Nicholas Turner – to speak at our recent conference on connoisseurship. Both declined. 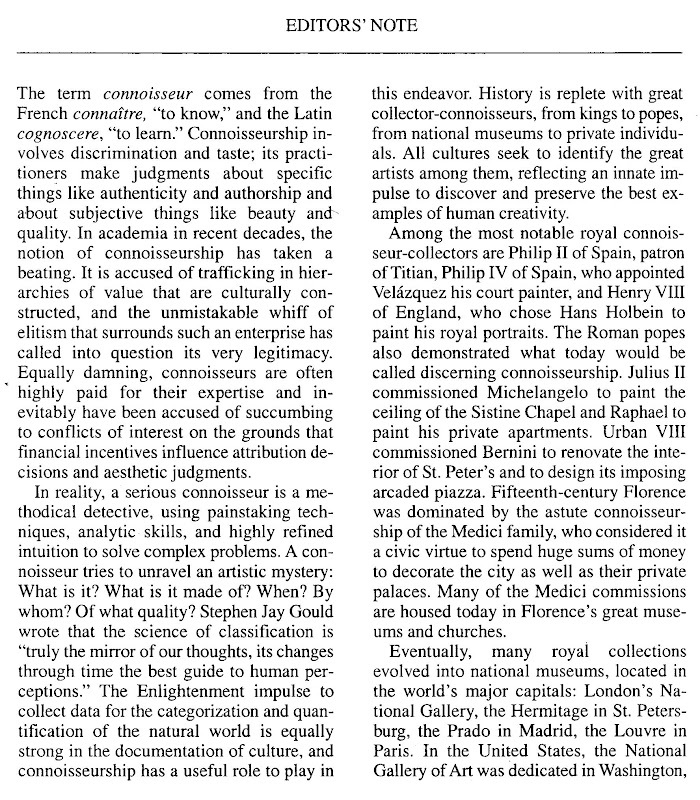 Neither our post of January 2014 (“Art’s Toxic Assets and a Crisis of Connoisseurship ~ Part II: Paper – sometimes photographic – Fakes and the Demise of the Educated Eye”) nor our colleague Kasia Pisarek’s article “La Bella Principessa: Arguments against the attribution to Leonardo” that was published in the June 2015 issue of the scholarly journal artibus et historiae have been challenged in print. 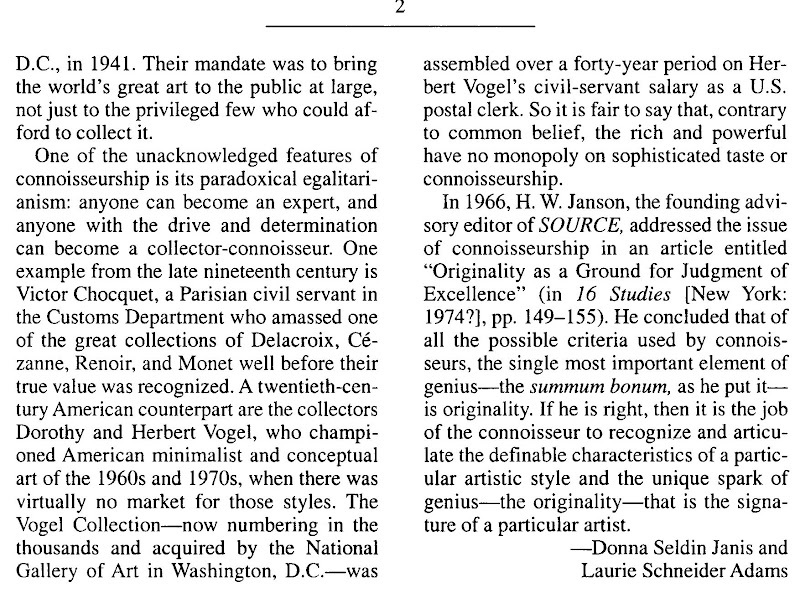 …[Andrew Goldstein] “They weren’t the only ones to differ on the attribution of the painting, and when you first announced that you believed it to be a Leonardo, a lot of people disagreed. One museum director even told the Telegraph’s Richard Dorment, anonymously, that it was a “screaming 20th century fake, and not even close to Leonardo himself.” Has there been any reversal since then? [Martin Kemp] “I don’t know who this anonymous person was, but we carbon-dated the parchment and that eliminates it from being a screaming modern forgery. If it were a forgery, it used things that we’ve only recently discovered about Leonardo’s technique in the last 20, 30 years. The fact that it was owned by Giannino Marchig takes it outside the period when it could be a forgery, knowing what we know now, so that’s not an option. The ultra-violet turns up retouching, and it’s very clear it has been heavily restored, but most objects 500 years old, including the “Salvator Mundi”, which is the new picture being shown in the National Gallery. […] “One thing that critics of your ‘Principessa’ attribution tend to bring up is the involvement in your research of Peter Paul Biro, a fingerprint expert whose credibility was questioned. What is your opinion of him? “Well, Biro I knew of as someone who’d specialized in fingerprints and paintings, so we asked him to look at the fingerprint that is in the upper left side of the ‘Bella Principessa.’ I had data on finger prints and finger marks in other Leonardo paintings, and he said one of these matched – not astoundingly, because it’s just the tip of a finger, and one doesn’t rely on fingerprints on vellum. It wouldn’t convict anybody in a court of law. You need more than that. So he did a limited job here, and we didn’t depend too much on that evidence. The press liked it, of course because it was cops and robbers stuff. “I would not now probably say much about it at all, because on reflection I don’t think we have an adequate reference bank of Leonardo fingerprints. I’ve talked to fingerprint specialists, and they typically require a full set of reference prints. We don’t have that for Leonardo. 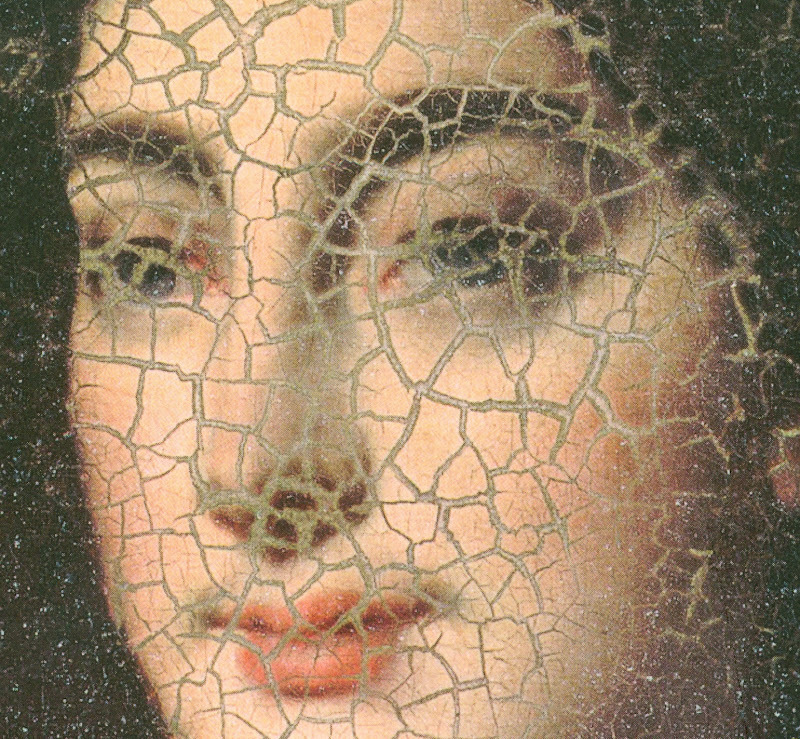 My sense is – and this is Pascal’s sense, too – that it’s probably premature, given what we know about Leonardo’s fingerprints, to come up with matches at all. But the job Biro did was perfectly straightforward. There were no grounds for dishonesty. Peter Paul Biro is suing the New Yorker*, but I can’t comment at all upon the court case because that’s about things that I know nothing about, so it’d be totally improper. But he did work for us, which I now, let’s say, place less reliance on, simply because, on reflection, I think the fingerprint evidence is rather slippery. “Because of the work you have done to bring the ‘Principessa’ into the fold of acknowledged Leonardos, some say you have crossed from the realm of scholarship to something more like advocacy. How do you explain your passion for the portrait? “But the International Foundation for Art Research, a nonprofit organization that is the primary authenticator of Pollock’s works, balked, saying that Biro’s method was not yet ‘universally’ accepted. “During the eighties and early nineties, more than a dozen civil lawsuits had been filed against Peter Paul Biro, his brother, his father, or their art businesses. Many of them stemmed from unpaid creditors. An owner of a picture-frame company alleged that the Biros had issued checks that bounced and had operated ‘under the cover’ of defunct companies ‘with the clear aim of confusing their creditors.’ (The matter was settled out of court.) As I sifted through the files, I found other cases that raised fundamental questions about Peter Paul Biro’s work as a restorer and an art dealer. 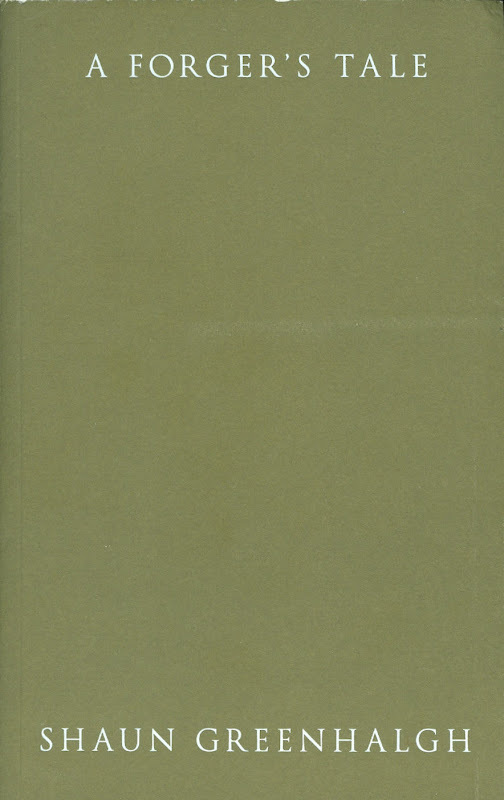 “Biro refused, multiple times, to divulge where he had obtained either of the paintings. According to the Wises, Biro insisted that the person who sold him the paintings was in Europe, and that it was impossible to contact him. “Sand sought proof of a financial transaction—a check or a credit-card payment—between Biro and Pap. Biro, however, said that he had obtained them in exchange for two musical instruments: a Steinway piano and a cello. “A final verdict on whether ‘La Bella Principessa’ is genuine may not be reached for years, but more and more connoisseurs have voiced doubts. Skeptics express surprise that there is no apparent historical record for the drawing, given that Leonardo was one of Italy’s most famous painters during the Renaissance. They note that vellum lasts for centuries, and that it would be easy for a forger to obtain old sheets. Many of the critics share the view of the Met’s Carmen Bambach: it just doesn’t look like a Leonardo. ARTnews, which has reported on Wertheim’s findings, recently interviewed Klaus Albrecht Schröder, the director of the Albertina Museum, in Vienna. ‘No one is convinced it is a Leonardo,’ he said. David Ekserdjian, an expert on sixteenth-century Italian drawings, wrote in The Burlington Magazine that he ‘strongly suspects’ it is a ‘counterfeit.’ Other art critics have suggested that Kemp has succumbed to a fantasy. In July 2011 ADWEEK reported that Biro had sued The New Yorker and David Grann for $2 million on twenty-four charges of false and malicious defamation – Forensic Art Expert Peter Paul Biro Sues New Yorker for Deformation. The action failed on every count (see “Art Authenticator Loses Defamation Suit Against The New Yorker“). “…Last month, a 1955 Picasso painting – Les Femmes d’Alger – broke auction records when it sold at Christie’s for a staggering £115 million. “Martin Kemp, emeritus professor of art history at Oxford University, was also skeptical. Prof Kemp said: ‘It’s pretty close to Picasso’s portrait of Daniel-Henry Kahnweiler, the dealer whom he painted in 1910 and is in the Art Institute of Chicago. This looks to be a relatively competent but not excellent near copy of it – the signature is very dodgy. Without doing a full art historical analysis – and I’m not a Picasso expert – I would say someone has made a variant of the Picasso portrait. Also the signature with the rounded S’s doesn’t seem to correspond to Picasso’s way of signing and thirdly the canvas doesn’t look quite right for Picasso of that period. On 6 July 2015 The Scotsman disclosed that the discovered ‘Picasso’ was a fake (“Picasso painting in Fife attic ‘a hoax’”). 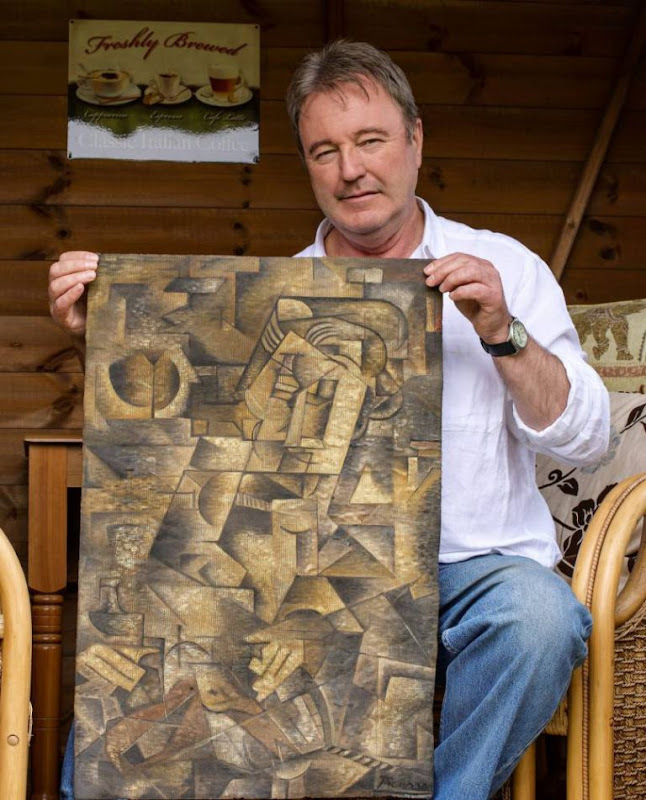 The faker, Dominic Currie, reportedly described his purported-Picasso (which had been about to be inspected by Christie’s) as “a piece of performance art [made] in order to raise awareness of the struggling artists in Scotland.” The fake is now being offered for sale on the website of a picture restoration business. Michael Daley. 10 December 2016. ~ Max J. Friedländer on Wilhelm Bode – Reminiscences and Reflections. This entry was posted on January 10, 2016. 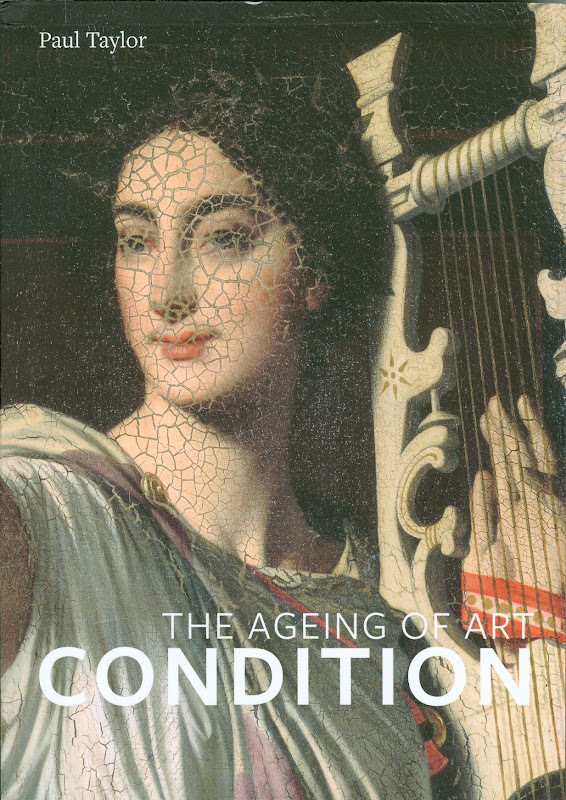 It was filed under news and was tagged with "A Forger's Tale", "Art, "Condition - The Ageing of Art", "Jackson Pollock Forgeries", "La Bella Pricipessa", "Reminiscences and Reflections", "Source", Claudio Strinato, Cosimo Tura, David Grann, Dominic Currie, Ellen Landau, Erwin Panofsky, Fake Picasso, Jeremy Warren, Kasia Pisarek, Law and Crises of Connoisseurship", Martin Kemp, Max Friedlander, Nicholas Easthaugh, Nicholas Penny, Nicholas Serota, Nicholas Turner, Pascal Cotte, Paul Taylor, Peter Paul Biro, Shaun Greenhalgh, the art fund, The Ashmolean Museum sculpture catalogues, Wilhelm Bode.